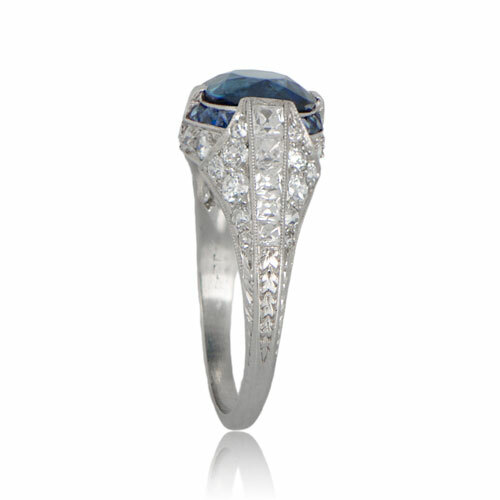 A stunning and rare Antique Art Deco Sapphire Engagement Ring. 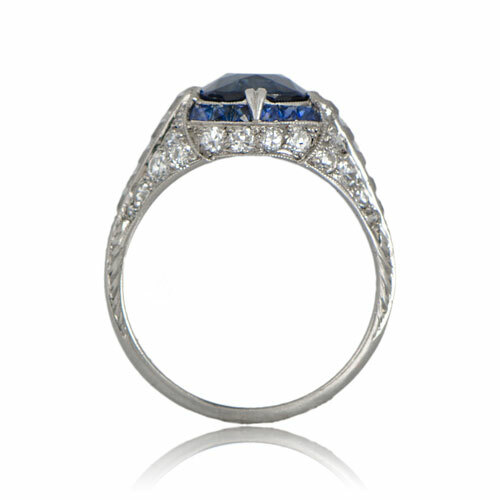 The center sapphire is accented by French-cut diamonds and French-cut sapphires. 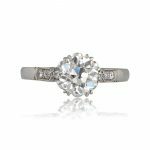 Old mine diamonds and milgrain add to the delicacy of the ring. 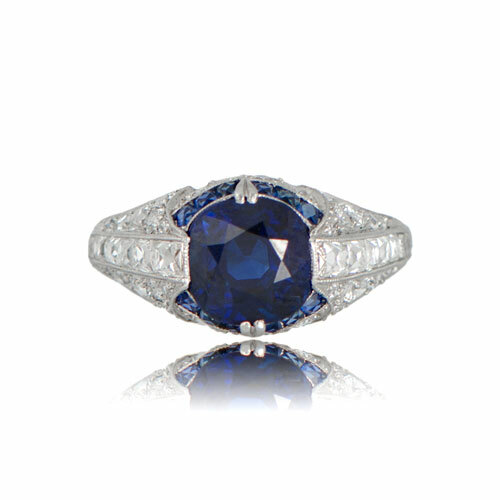 The center sapphire is no heat and approximately 3 carats. A Gubelin certification is available upon request. This vintage engagement ring is circa 1925. 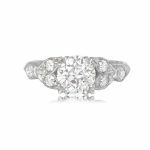 SKU: 11222 Categories: Diamond and Sapphire Engagement Rings, Old European Engagement Rings, Sapphire Engagement Rings, Sold - Contact us and request additional pictures.